Prior to 2018, DC’s Aquaman has never had a solo film. Although the underwater superhero has existed since 1941, he didn’t debut in live action until 2005, on the CW’s “Smallville.” In Season 5 of the hit CW show that ran until 2011, Arthur Curry (played by Alan Ritchson) only appears as a teenager in a custom orange and green wetsuit. The latest version of Arthur was introduced in 2017’s “Justice League” by director Zack Snyder. This time, played by “Game of Thrones” heartthrob Jason Mamoa, and without his signature attire. Jason Mamoa as “Aquaman” in 2017’s “Justice League” from Warner Bros.
Wilkinson’s Aquaman strayed away from the hero’s past. Director Zack Snyder wanted to distance his version from the classic hero due to his goofy appearance. Over the years, Aquaman’s look has spawned a series of jokes and parodies (Remember Mermaid Man?). Appearing in worn down Atlantean armor, the “Justice League” outfit re-introduced the underwater titan as the fierce, cool new addition to the DC Universe. 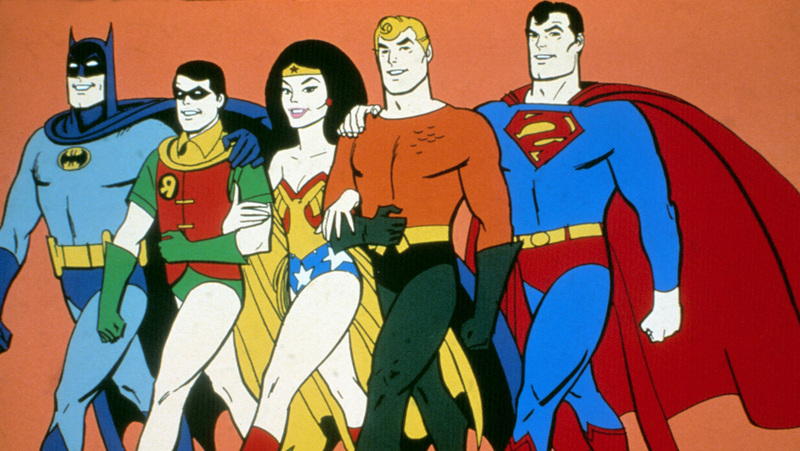 To date, Aquaman’s most memorable look has been from the sixties comics and Hanna Barbara’s “Super Friends” cartoon that aired from 1973 to 1986. So how were Barrett and Wan going to keep the spirit of the original costume, but make it modern and cool at the same time? After the reception to “Justice League,” it was time to give Arthur his identity back. Aquaman’s green and orange ensemble has become a pop culture mainstay. The original costume used its colors to stand out against the blue backdrops of the comics. In 1986, a blue camouflage ensemble debuted, but it didn’t last since readers couldn’t see it well on comic panels. Throughout the nineties and beyond, Aquaman’s look has alternated, but it has always been inspired by the original comics. Designing for superheroes may seem like a cool job, but it’s a challenging task that few can handle. Costume design has its share of challenges, but revamping beloved characters provides a new level of difficulty. Each designer has to honor source material, update attire for the screen, and adapt to character circumstances. Kym Barrett is no stranger to designing for superhuman characters. Her past work includes films such as “Jupiter Ascending,” “The Amazing Spider-Man,” and “The Matrix” trilogy. The Australian designer’s experience with Cirque du Soleil would also help with the “Aquaman” production. The scenes in “Aquaman” were filmed using specialized rigs and wires that stimulate movement under water. To top off the scenes, a blue screen was used, and CGI was added in post-production to alter clothing and hair movements. Along with designers before her, Barrett was faced with creating a look that isn’t comical. “Aquaman” is the first time the hero appears on the big screen in his traditional costume, so the reveal would have to be special. The hero’s signature suit has a number of origins, but the “Aquaman” team created a unique story for the armor. Additionally, director James Wan wanted to blend Aquaman with Jason Momoa’s personal style. For the majority of the film, Arthur wears human attire. Believed to be unworthy of the throne, Arthur proves himself by attaining the Trident of Neptune. After earning the trident, Arthur graces the screen in an updated version of the familiar costume. The upgraded armor serves as a nod to the past, as well as the future. Aquaman’s new attire bears a similarity to that of King Atlan, the first ruler of Atlantis. The rightful heir to the throne, Arthur shows he is ready to be king. Arthur’s new suit shows he’s royalty, but also proves he’s something more. In the same interview with Seniors News, Barrett states that she took digital photos of fish, enlarged them, and created body stockings with organic fish patterns. The utilization of fish indicates the Atlantean’s ability to camouflage within their surroundings, and also points to a fashion consciousness. The new Atlantean costumes manage to mirror the comic books, but stand on their own. Each costume was created with the character (and actor) in mind. Mera’s (Amber Heard) costume is the most identical to the source material, but the color is altered to complement Heard’s skin tone. 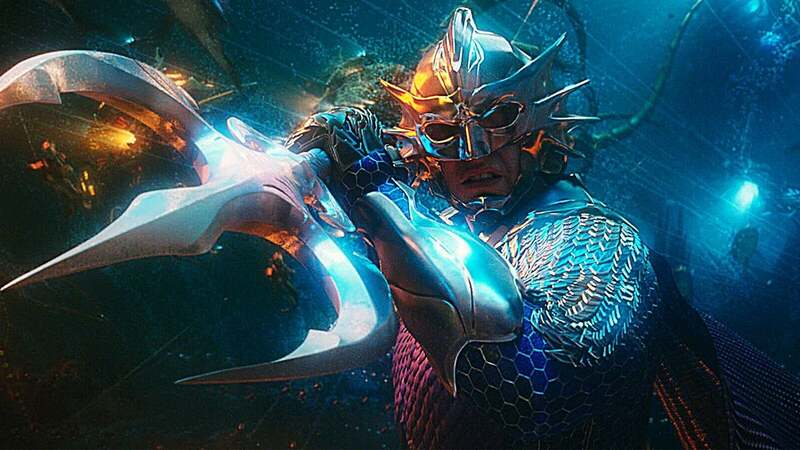 Like Arthur, Manta’s (Yahya Abdul-Mateen II) and King Orm’s (Patrick Wilson‘s) armor tell the story of their journeys. As each man stars in a villain role, their costumes showcase their ascent to deadly adversaries. In the case of Manta, he doesn’t appear in his traditional costume until later on. The origins of Manta’s costume are also changed to fit a narrative. In his quest for revenge, he’s gifted with Atlantean armor to defeat Arthur. After some customization, the Manta of the comics is reintroduced to audiences. As awards season heats up, the costumes of “Aquaman” are worthy of praise. Kym Barrett’s work pops on screen and depicts Aquaman as he should be. It’s exhilarating to see Atlantis brought to life, and seeing familiar characters in all their glory. Here’s to hoping that “Aquaman” swims on in the DC Universe. Taking on a new genre of film, Kym Barrett’s work can be seen next in the highly anticipated film, “Us” from Academy Award winner Jordan Peele. “Us” will have its world premier at SXSW on March 8. What did you think of the looks in Aquaman? Did it do the comics justice? Let us know in the comments! “Aquaman” is in theaters now.